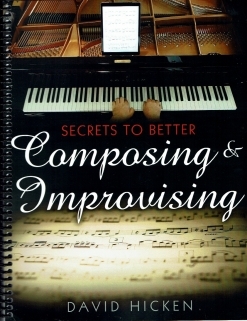 How To Make a Living as a Pianist and Composer is the fifth in a series of how-to books by David Hicken, a successful pianist and composer himself. The book is divided into four sections: “Getting Started,” “Working For Others,” “Working For Yourself” and “Sales and Marketing.” Each of the sections is then divided into sub-sections that are listed in the table of contents so they can be easily referenced. Hicken’s advice and suggestions are very down-to-earth and most are very practical. Obviously, not every suggestion will work for every person reading the book, but I have no doubt that everyone who reads it will come away with lots of helpful information and ideas for improving (or starting) their own musical careers. They may also find that they have a somewhat changed view of what a successful musician is and what it takes to get there (“practice, practice, practice!!!”). Hicken’s writing style is warm and friendly and not so technical that it will bore readers. I found the book very enjoyable to read from cover to cover. 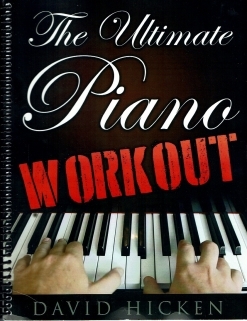 I have been an independent piano teacher for the past thirty-six years, a music reviewer for about twenty years, a sheet music proof-reader for about fifteen, and have run a music-related website (MainlyPiano.com) for ten, so I have also made my living as a pianist (but not as a composer!) and could weigh much of the information against my own experiences. The book covers an incredible amount of information, and I am impressed by how well-thought-out and thorough it is for a book its size. 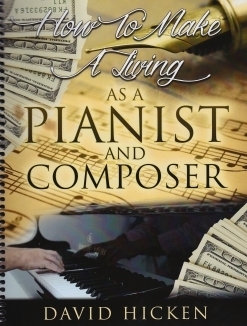 I highly recommend How To Make a Living as a Pianist and Composer for anyone considering starting or expanding a career in music. 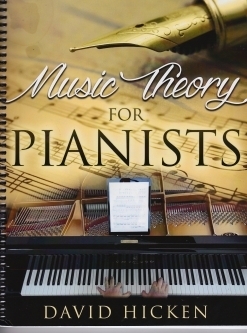 Many of the topics are geared for pianists, but there is a lot of information that is practical for any musicians. The book is available exclusively from www.DavidHicken.com.